Autumn is the prime season for football, sweaters, and local festivals, most of which celebrate a special aspect of a community's distinct cultural or societal influences. Now in its 24th year, the St. John's Greek Festival of Myrtle Beach will continue to impress with its vibrant celebration of Greek culture at its finest. Honoring all of the glory of Greek culture, cuisine, and family fun, the festival is appropriate for visitors of all ages. The festival takes place from Thursday, September 29 to Sunday, October 2, at the St. John the Baptist Greek Orthodox Church of Myrtle Beach. If you find yourself dreaming of exotic foods, live performances, and festival street vendors, then don't miss your chance to take in the sights and sounds of the Greek Festival. The event will feature inflatables for the children, arts and craft vendors for those looking for unique treasures, as well as tasty treats like spanikopita, gyros, baklava, cookies, salads, pastries, breads and more. Who can resist traditional lamb or chicken gyros served with fresh pita and tzatziki sauce, spices, lettuce, tomatoes and onions. Just in case you aren't quite as well-versed in the Greek culture as you'd like to be, take a risk and sample the delicious spanikopita or tiropita. Each dish is created with cream cheese, egg and filo pastry. With a hearty serving of spinach included, Spanikopita is not only delectable but also nutritious! The Dolmathes, offer up a truly unique dining experience, as they are comprised of grape leaves stuffed with various savory ingredients. For the 21+ crowd, the festival will offer up authentic Greek beverages, including beer and imported wines. Furthermore, Ouzo shots will be available at the event if you are looking for a real taste of Greek liquor. Be sure to check out the 24th Annual St. John's Greek Festival in fabulous Myrtle Beach. 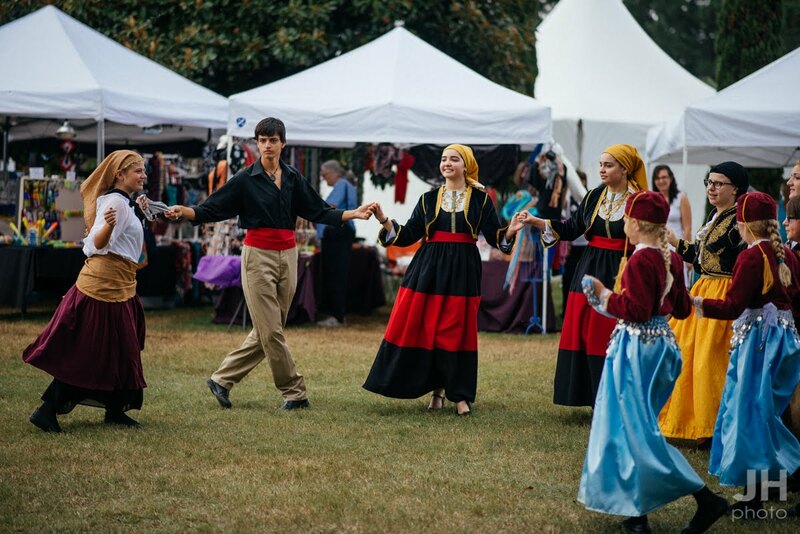 From food, to crafts, to live performances, take a break from the hustle and bustle of the beach and immerse yourself in a weekend of Greek culture. Festivities begin at 11 am Thursday through Saturday and at noon on Sunday.